We are all about creating a family, and making sure our clients are satisfied with the watches they have decided to take with them on their adventures through life. We can tell you all about what we do, but we rather have our clients tell you how their experience was with us! Got the watch, thanks so much. Most confident purchase of a watch I have made. The time piece is in great condition, basically brand new. But most important is the connection and the story with the watch. It totally lived up to the standard of a watch that carries history an value. I am glad I bought it. Planing my next adventure with Life on the Wrist as we speak. Thank you. If you have any more watches to sell let me know. Thank you so much for your great customer service! Everything seems to be going along swimmingly. The watch arrived two days early. It is just great. Thank you for all your help, patience and understanding. You were honest and upfront with the transaction... and knocking off a couple bucks so I could get a link was a super legit move. I'd like to tell you if you ever need a reference for a transaction you're in the midst of you can use me. All in all I am satisfied with the Tudor. Anyways, I look forward to doing business again sometime. Love the Omega. Very nicely remained all natural. I like the watch a lot. Bracelet seems a bit loose. But that's expected. Seems to keep good time. Love it! Owned one prior and sold it but im keeping this one! Great story too! Thanks again! 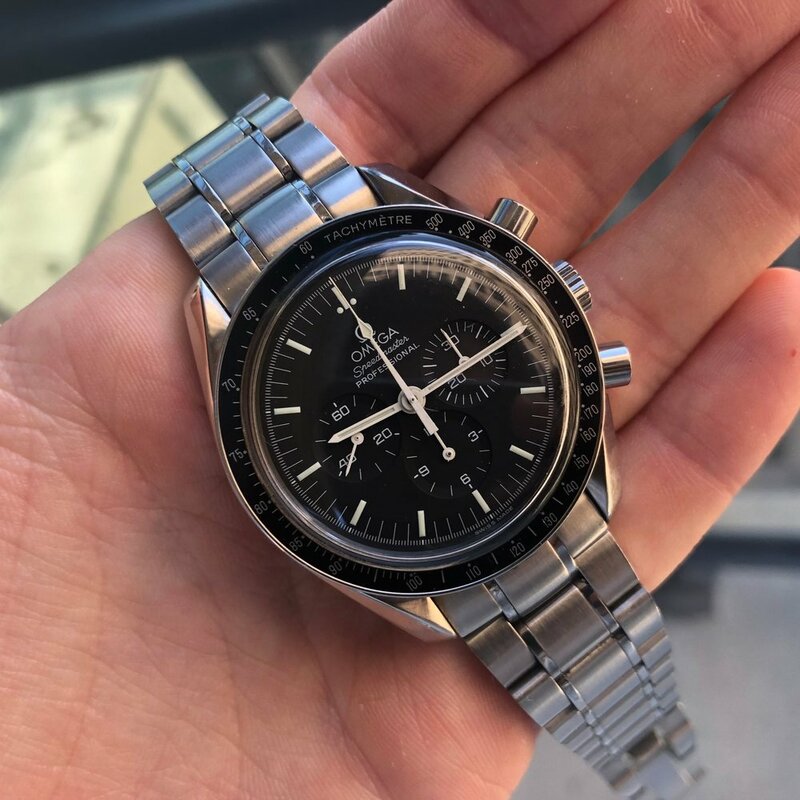 If you are anything like me, you have probably spent countless hours scrolling through the millions of watches for sale on Ebay as well as Chrono24 only to be disappointed in receiving what you was sure to be your "grail watch". 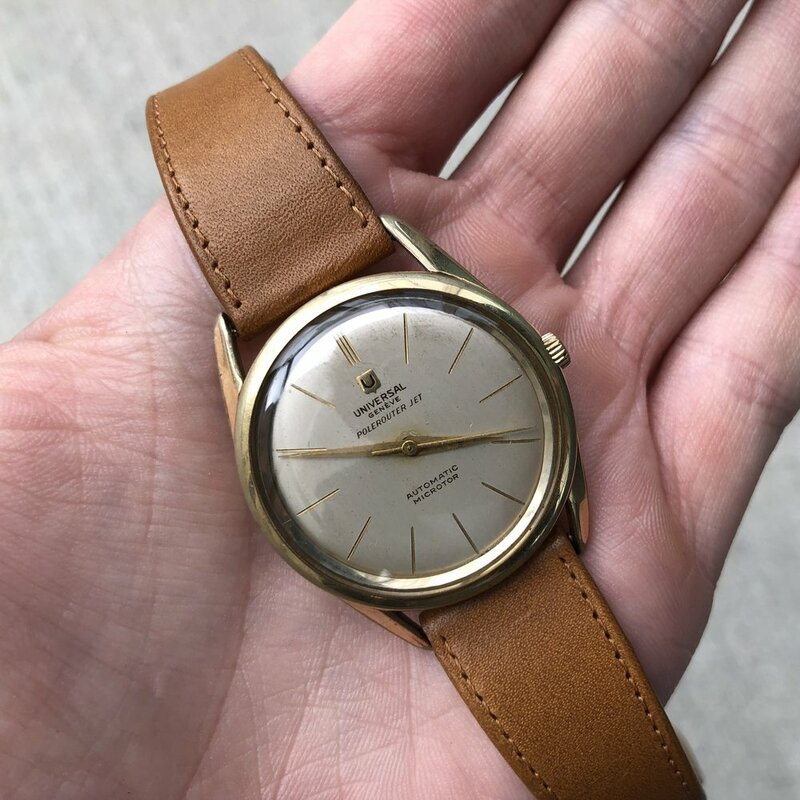 Fortunately for me, this did not happen this time, on the contrary, the watch was far better than described and in MUCH netter condition than I had hoped for. Words cannot express how pleasant the entire buying process was. This gentleman took the time to answer all of my questions and address all of my concerns. I have NO doubt that I will be purchasing many more pieces from him in the near future. Highly recommended is an understatement!!!!! Hello from Italy! Thank you very much for your kind transaction. The watch is in even better condition than the pictures. Thank you so much, and best wishes to you. Thank you again! Merry Christmas! Many thanks to Life on the Wrist, for my newly acquired Omega Seamaster, and the second watch to my vintage collection. Their passion for watches shines through their outstanding customer service and in depth knowledge of each piece. They are now a part of “my story” as i continue building my watch collection, that I, plan to pass on. Thank you Life on the Wrist for the great watch. I was so happy to find this watch with the box and tag in such great condition. I look forward to giving this to my son when he is older. Also, thanks for meeting me, you were very polite and helpful. I had been searching for the perfect Rolex since I started collecting Swiss pieces 2 and a half years ago. I always lusted over the prestige and history Rolex has had in horology. 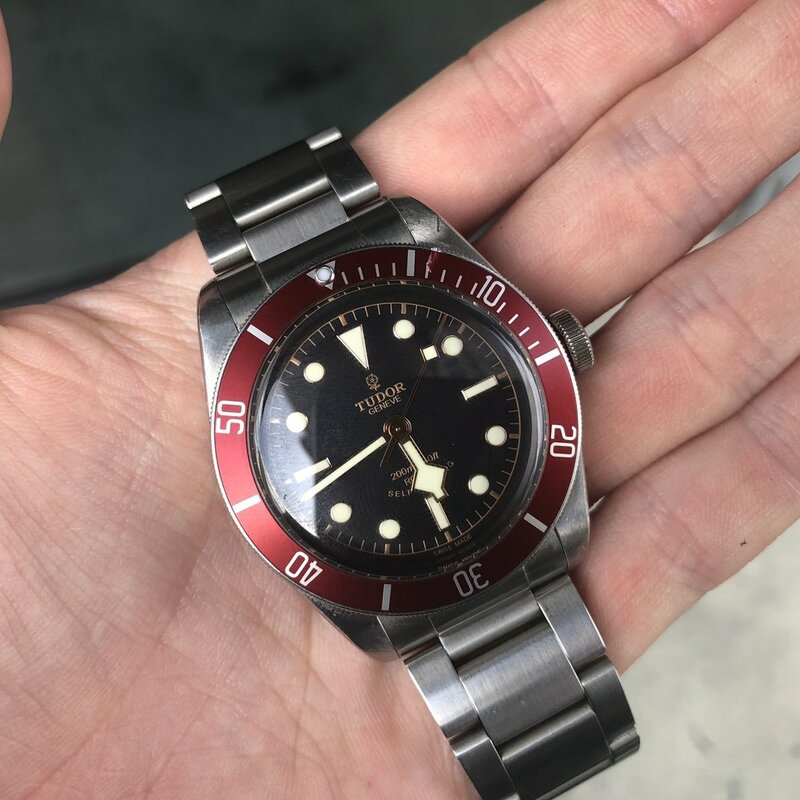 I couldn't find one that "spoke" to me for my 30th birthday last December and instead went with a vintage Tudor. A piece I love. But this year has been full of incredible life achievements for me such as a new house and starting up a small business. I finally came across this Rolex 1500 date mosaic patina blue dial with oyster bracelet and Gold two tone bezel. Special thanks to "Life on the Wrist" for the top service and making my dreams come true.